This entry was posted in Health and Beauty, Hipster/Beauty Queen Ramblings and tagged Cameron Powell, Miss Tennessee USA, Miss USA, Photography, Swimsuits on April 30, 2013 by Brenna. How cute is that little mug? My girlfriends and I went to Greece a couple of years ago and I carried probably 35 pounds of pottery from this particular shop on the plane ride home, because I just haaaad to have it. I used to have two of these mugs before I broke one over my bathroom sink this weekend while rushing to put on my makeup… Sad! Oh well, guess I’ll just have to go back for more! This entry was posted in Food, Health and Beauty and tagged coconut milk creamer, Miss USA, skinny chai tea latte, stevia on April 29, 2013 by Brenna. Every girl loves lip gloss, and while there are tons of different kinds that I use and enjoy for different purposes… there is one that stands out above the rest for every day use. 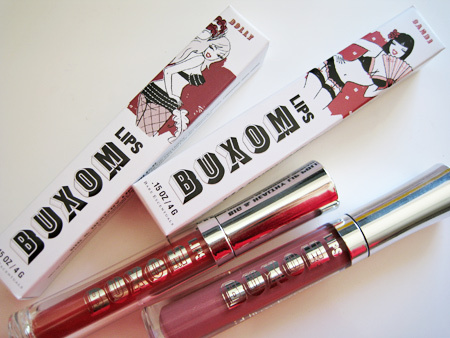 Buxom Big & Healthy Lip Polish by Bare Escentuals is my absolute favorite. I don’t know that I would use this for stage or a photo shoot, but for an everyday pretty lip this stuff is where it’s at! It smells amazing, has just a hint of tingle which is plumping, comes in 15 beautiful-subtle-natural-go-with-everything-colors,and has a great slick texture that isn’t sticky at all. This is some of the only lip gloss that I run out of before I lose it or it goes bad. Had I not stumbled across it by accident when it came in Bare Escentuals kit I purchased, I never would have tried it because the stuff costs $19! However, if you are a lip gloss lover like me, you will love this product! This entry was posted in Uncategorized on April 25, 2013 by Brenna. I’ve gotta give credit to Matty Ride for taking this perfectly framed photo of me in front of the capitol. As I mentioned here, one of the things that made this past week so awesome was receiving a resolution from the Tennessee House of Representatives. I had my own personal tour guide (my good friend Melanie, who arranged the whole event) to show me all around and to teach me more about state government. Interesting fact: Tennessee is one of the only states who’s original capitol building is still being used and FYI ours is gorgeous. Another highlight was briefly meeting Beth Harwell who is the speaker of the house. The older I get, the more appreciative and impressed I am by strong powerful women in all fields. She is arguably the most powerful woman in the state of Tennessee (aka my kingdom 😉 ) and handles that role successfully while still maintaining her femininity. I also appreciate a woman who can be successful, powerful, and stylish – check out that cute peplum top! With speaker of the house for the Tennessee House of Representatives, Beth Harwell! This entry was posted in Hipster/Beauty Queen Ramblings and tagged Beth Harwell, Gary Odom, Miss Tennessee USA, peplum, Tennessee State Capitol on April 24, 2013 by Brenna. Yesterday was my birthday and one of my best friends put together these fantastic photos together in my honor! I thought it would be nice to do the same for my sister since today is her birthday! A note to all of the awkward tweens out there: THERE IS HOPE FOR YOU!!!!! Happy Birthday to my beautiful sister who was also Miss Wyoming Teen USA 2002 and was the first person to ever teach me about makeup and pageants! This entry was posted in Entertainment, Health and Beauty, Hipster/Beauty Queen Ramblings on April 23, 2013 by Brenna.